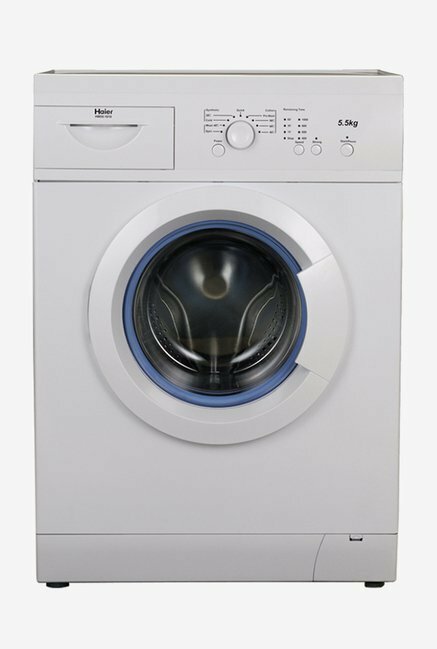 The lowest price of Haier 5.5 kg Fully Automatic Front Load Washing Machine ( HW55-1010 ) is at TatacliQ where is it is for INR 20370. This price is INR 0 same as the other price for the product. The prices for the product change across variants. 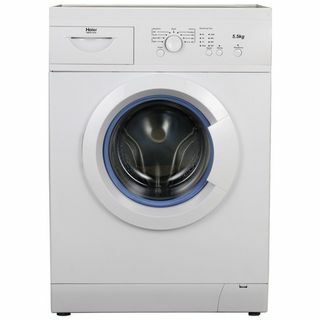 The price for Haier 5.5 kg Fully Automatic Front Load Washing Machine ( HW55-1010 ) is valid across Bangalore, Hyderabad, Chennai, Mumbai, Delhi, Pune and Kolkata. The Haier 5.5 kg Fully Automatic Front Load Washing Machine ( HW55-1010 ) is available at best price of INR 20370 on TatacliQ. I bought it last month and the machine is working very fine upto now. Thanks to Haier and Flipkart for providing a good product. But I didn't liked few things: 1) It doesn't have any program option for washing cotton clothes in normal/cold water. We have to use min 40 degree wash program. This will surely add up extra in my electricity bill. 2) Drainage pipe must be atleast 70 cms height above the ground which is very awkward feature. 3) Wash cycle duration is long, even though I have a good pressure water supply. Else everything is great!!! Thanks. I had bought this machine basis the configuration mentioned on the catalouge & believe me i have found this to be an amazing machine, Absolute soundless and very effective cleaning. I have become a fan of this product. I am 100% satisfied with the product and strongly recommend to others.